You see a map that demonstrates territory of Russia, of Ukraine. actual map of Simferopol' this. map of Alushta this. 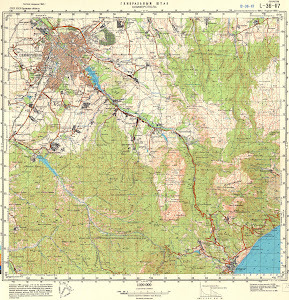 interesting map of Strohonivka for gps. detailed map of Dobre free download. free map of Pereval'noe free download. topographic map of Nauchnyy for you. topographic map of Zhigulina Roshcha here. free map of Zarichne download for free. interesting map of Zamost'ye for you. free map of Vera-Abdal here. free map of Ukrayinka for you. free map of Tolban for you. topographic map of Terenair for Garmin. map of Sotera for Garmin. detailed map of Sorokino presented. free map of Solov"yivka displayed. topographic map of Semydvir"ya presented.